Spring needles blend the objective of a darning foot spring on the needle itself. 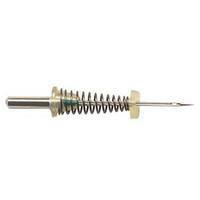 The spring needle eradicates the need for a darning foot completely. This needle is the optimal choice for free-hand embroidery or monogramming in a hoop. 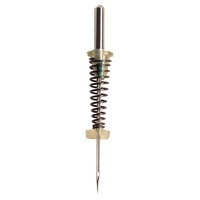 This universal spring needle is for general sewing of most woven and knit materials. 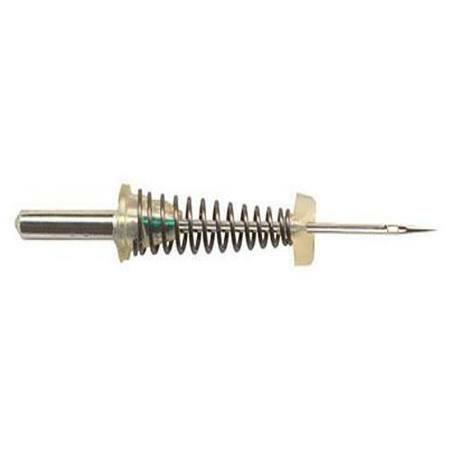 Use this needle in household sewing machines that use a flat back needle. Most Schmetz needles include two color coded bands just below the shank. The top color code indicates the type of needle and the lower band indicates the size. Most Schmetz universal needles will not have an upper color code, although they will still have a size color band.